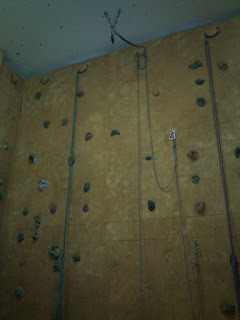 Recently I joined a small group of twitter friends for a 2 hour taster session at "The Wall" climbing centre in al Khuwair. 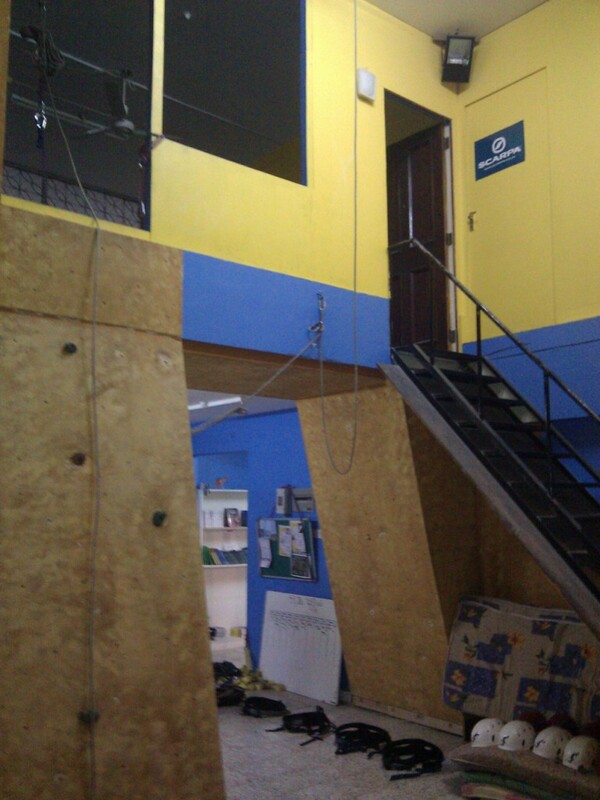 The centre is effectively 2 main rooms, one a bouldering room, and the other various climbing wall routes with varying (and increasing) difficulties and there's also an abseiling tower too. 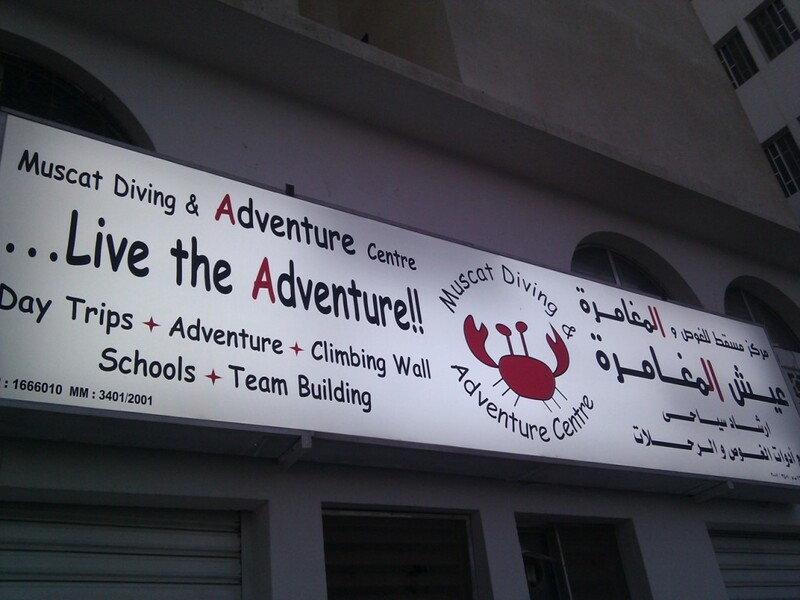 The wall is run by the Muscat Diving and Adventure centre and represents only a part of the services they offer. We started out in the bouldering room, learning how to fall first, this quickly became something I was good at, falling, so it was good training for me. 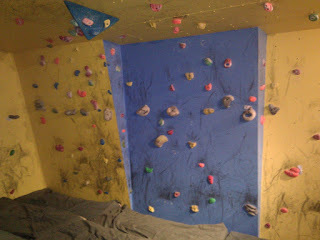 The room has foot and hand holds bolted into it all over the room's walls and ceiling, with crash-mats lining the floor wall to wall. After a few exercises and games ("plus one") in the bouldering room, we moved on to the actual climbing wall proper, and put on our climbing harness' or whatever they were called and got stuck into the actual climbing wall routes. 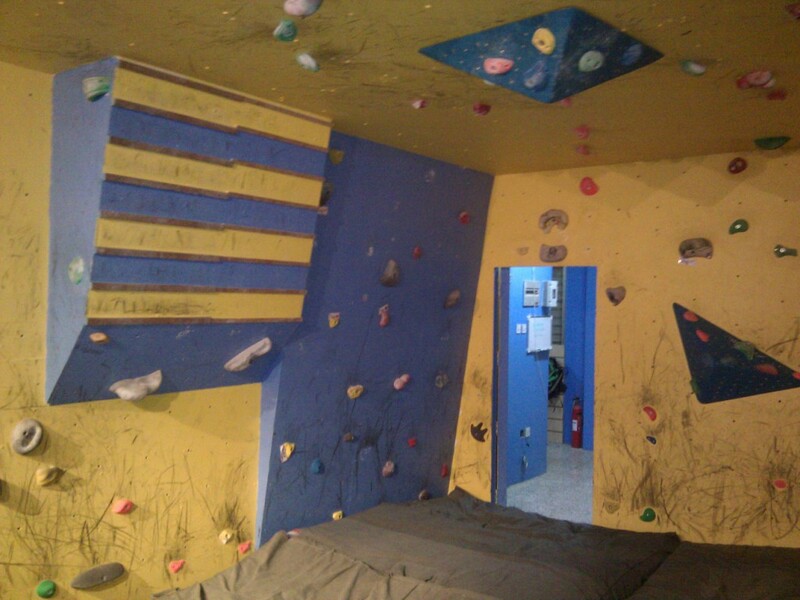 The Climbing Wall has a facebook page here and the centre is a very popular spot with budding climbers of all ages and abilities in the week. There is "Open Climbing" on Tuesday & Sunday evenings, 6-8pm, at a rather attractive cost of 2 RO per session. It's a pretty good work out, and if you are not used to it, various muscles in your body will probably start aching a couple of days later! It has been a well-kept secret but the team at MADC deserve the publicity. Are they doing any summer activities for kids this year? Any other top tips for what to do with kids in muscat this summer? This looks great- why do these companies not actively market themselves? They have a crab for a logo with, what, Mistral font straight from MS Word! Anyway- I shall be donning my climbing shoes and heading over there regardless!